FC Bayern Munich have secured the services of US youngster Chris Richards over the long term. The centre-back, who initially came to Bayern on loan from FC Dallas half a year ago, inked a four-and-a-half-year contract with the German record champions through 30 June 2023. Richards joined the Campus last summer and played for the U-19s coached by Sebastian Hoeneß. The USA U-20 international, who is strong in the air, has scored two goals in 21 competitive appearances, playing over the full 90 minutes almost every time. “I always dreamed of playing at a big club in Europe one day. Now I’ve actually joined one of the top clubs. I’m really very happy,” the 18-year-old said after inking the contract. Richards, who was born in Birmingham, Alabama, learned the trade mainly at the youth academy of MLS club FC Dallas. The Texans are one of the few pro clubs in the US to train their own youth players. 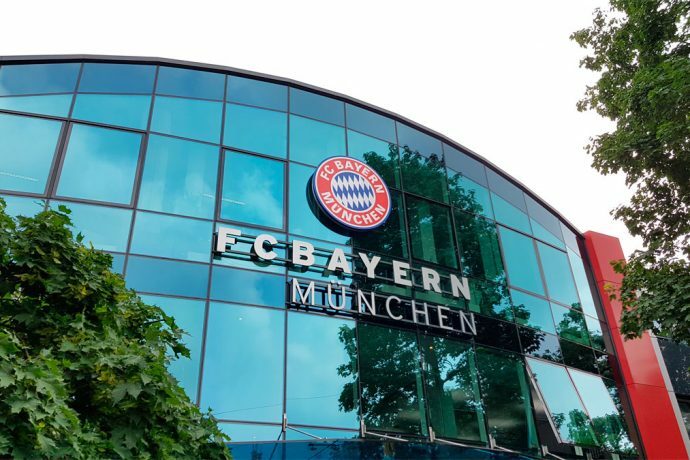 “FC Dallas stand for the excellent promotion of talent and are ideal partners for us,” Jörg Wacker, FC Bayern München AG board member for internationalisation and strategy, said when the partnership was announced last spring.